Rewards of Wonder: Poems of Cotswold, France, London. Ed. George Walter. 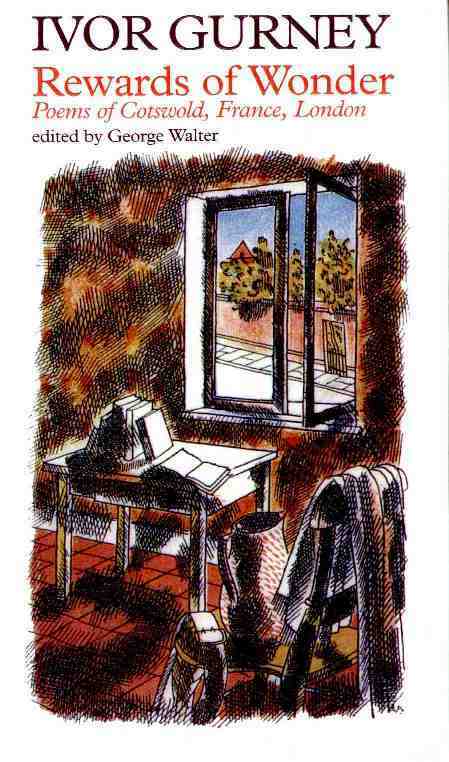 Ashington, UK: Mid Northumberland Arts Group; Manchester: Carcanet, 1998. Severn and Somme. London: Sidgwick and Jackson, Ltd., 1917. War’s Embers and Other Verses: by Ivor Gurney. London: Sidgwick and Jackson, Ltd., 1919. 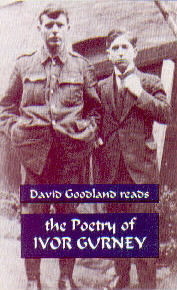 David Goodland reads the Poetry of Ivor Gurney. Bright Tracks Production, BT2. Cassette only. [Seventy poems presented in six parts: Severn Meadows, London Dawns, A Bloody Mess, Strange Hells, Roped for the Fair, and Bright Tracks. Also features David Beames as narrator with excepts from the Alan Gravill recording of Gurney's piano music.] Available in the U.S. from Pamela Blevins. 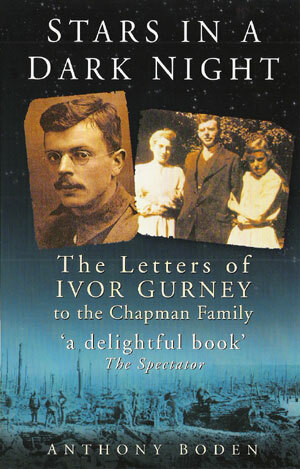 Ivor Gurney: Collected Letters. Edited by R. K. R. [Robert Kelsey Rought] Thornton. Northumberland: Mid Northumberland Arts Group; Manchester: Carcanet, 1991. [579 pp.] Amazon*OP - ChaptersGlobe*OP? Gurney, Ivor. “Charles Villiers Stanford: By Some of His Pupils.” Music and Letters 5 (1924): 193-207. Gurney, Ivor. “The Springs of Music.” Musical Quarterly 8 (July 1922): 319-322. Full Text. Notes: For a more complete bibliography and further details on these books, please consult Thornton and Walter’s Ivor Gurney: Towards a Bibliography. Listing of Distributors does not constitute endorsement. The *R indicates a Review of the Book; *OP indicates a book that the Distributor considers to be currently Out of Print (consult your used book seller or library). Pagination is noted as [160 pp.] when available.